Alma Bryant Frederick, 78 of Tullahoma gained her wings September 8, 2018 surrounded by family and friends. She was preceded in death by her husband of 50 years Jimmy Frederick; her father, Lloyd Bryant and her mother, Maude Gaddy; brother Troy Bryant; son Allen Frederick; daughter, Dianna Frederick and twin boys. She is survived by her son, Gary Frederick of Tullahoma; daughter, Vicki Dietz (Jack) of Tullahoma; sister, Velma Hood (Ronnie) of Zephyrhills, FL; granddaughters, Amber Honea (Jacob), of Chattanooga, Alexis Dietz of Chattanooga, Andrea Dietz of Tullahoma; brother and sister in laws and a host of cousins, nieces, nephews and friends. 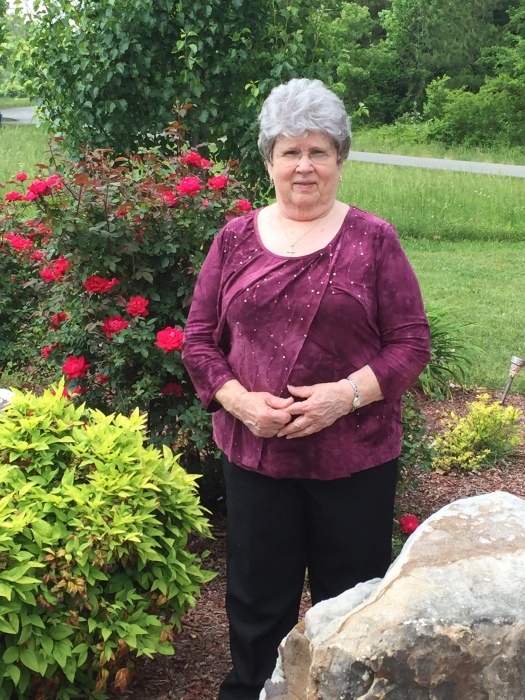 She was a member of the Church of God of Prophecy in Tullahoma where she served as Missionary Leader, Sunday School Teacher, Nursery Worker and numerous other roles. Her dedication and faithfulness to serving the Lord was her greatest attribute here on this earth. She lived her life loving and serving Christ. She lead by example and was a great witness for the Lord. She referred to her children and granddaughters as her pride and joy. We know she has been reunited with the love of her life, our daddy, aka “Pawpaw”, and together they are now walking the streets of gold. The family will receive friends at Watson-North Funeral Home Wednesday September 12, 2018 between the hours of 2 and 4 p.m. The funeral ceremony will follow at 4 p.m. with Rev. William Pritchett officiating. Interment will follow at Watson-North Memorial Park with friends and family serving as pallbearers. Online condolences may be sent to www.watsonnorth.com.